Puppies develop rapidly in the first few weeks of their life. 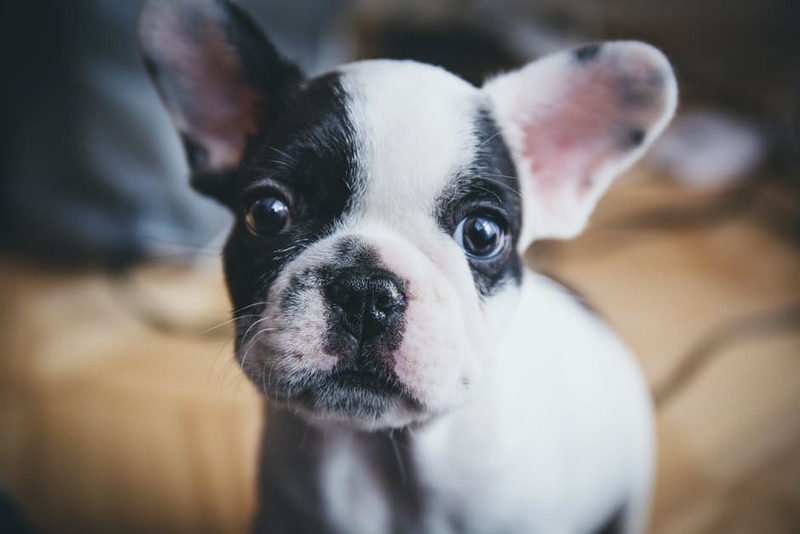 It’s important as a puppy parent to know these stages of puppy development and what to expect. A sleepy 6 week old puppy is almost unrecognizable as the zooming, playing, peeing, and biting 14 week old puppy that is soon to come. But, like all the rest, this stage shall soon pass. The prepared puppy parent will know what to expect and when- saving your fingers and your sanity! What Does This Age Do? THEY SLEEP. AND SLEEP SOME MORE. NEW OWNERS ARE OFTEN BAMBOOZLED INTO THINKING THAT RAISING A PUP IS A BREEZE. SLEEP. PHYSICAL CONTACT WITH HUMANS. SLEEP. CONFINEMENT WHERE THEIR CONSTANT, AND UNCONTROLLABLE, PEEING DOESN’T UPSET THE HUMANS. MORE SLEEP. PERIODS OF INTENSE ACTIVITY – FOLLOWED BY A ‘CRASH AND BURN’. THEY EXPLORE THEIR ENVIRONMENT AND FORGET WHERE THEY ARE SUPPOSED TO PEE. SUPERVISION BY AN AWAKE AND CARING PERSON. PATTERNS OF HOUSE TRAINING STARTED WITH NO REAL EXPECTATION THEY CAN FOLLOW IT … YET. SLEEP LESS. EXPLORE MORE. SCAVENGE IN THE YARD OR ON WALKS. SWALLOW EVERYTHING THEY SCAVENGE. RESPOND HAPPILY TO PEOPLE IF HUMANS HAVE BEEN KIND AND PREDICTABLE. What Does This Age Need? A PATIENT OWNER. PLAYFUL BITING STARTS IN EARNEST AROUND THIS AGE. SIMPLE COMMANDS SUCH AS SIT FOR YOUR DINNER, STAY AND COME HERE NEED TO BE ‘INSTALLED’ . LOTS. AND AT HIGH SPEED. PLAYFUL BITING INCREASES AT THIS AGE. JUMPING UP BECOMES THEIR HOBBY. PUPPIES ARE MORE BOLD AND LESS LIKELY TO STICK AT YOUR SIDE – SO USE A LEASH! SOCIALIZATION OUTINGS. DURING THIS AGE IT IS VITAL. DID YOU DO YOUR FIVE PLACES AND FIFTY PEOPLE SOCIALIZATION EXERCISES THIS WEEK? CHEWING ON HARD SURFACES STARTS NOW. INCREASED INTEREST IN THINGS OTHER THAN YOU WHEN IN A NEW ENVIRONMENT. FORCE FREE TRAINING IN MY PUPPY CLASS. LOTS OF MENTAL BRAIN GAMES AND AN INTRODUCTION TO LOOSE LEASH WALKING. Don’t– Wait to enroll in classes where your pup can properly socialize.